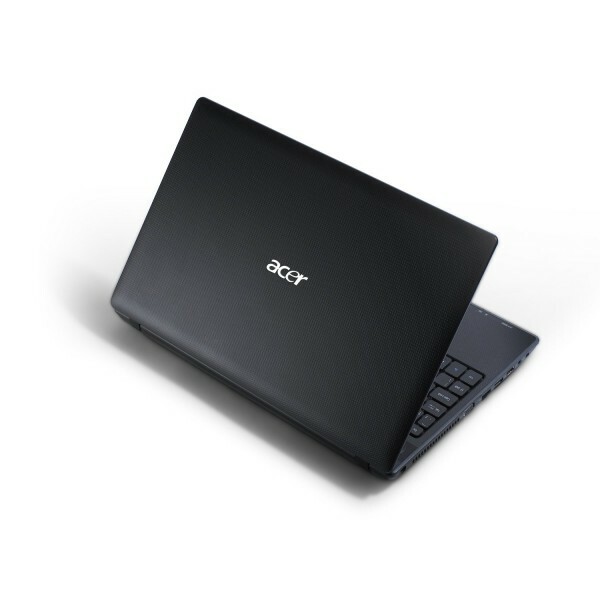 The new Acer Aspire AS5742 offers the best of any laptop’s performances with its 2.3 GHz i3 dual core processor that delivers optimum performance. The 15.6 inch LCD display that comes with embedded 1.3 megapixel HD webcam with microphone along with its other cool interfaces and apps will take you for a ride. The laptop packs in a powerful Graphics HD card to give better gameplay and throughput for all the high end graphic games you could play. The DVD R/RW drive gives you the ability to burn discs inclusive of the dual layer discs that can hold data over 8 GB. The storage capacity offered by Acer for Aspire AS5742 is 320GB of SATA hard drive with supported DDR3 RAM capacity of 4 GB that operates at 1055 MHz to give you fast performance. The appearance has a huge lift with its mesh black cover that also prevents fingerprints from getting registered and scratches that might happen. The touch pad responds to your every movement allowing you to navigate fast and seamlessly through your files, browsers and many more. To ease your typing, the touch pad lock key allows you to lock the touchpad to prevent cursor movement that might occur accidentally when typing. The dedicated full size keyboard that comes with a number pad makes entering numbers quicker and easier. It comes with a Microsoft Windows 7 64 bit Home Premium edition pre-installed operating system giving you all the features that it has to offer such as sharing of photos, music, videos and many more over the internet with Wi-Fi or any other source of connectivity. The operating system, Windows 7 eases your everyday tasks and makes your everyday computing experience much simpler as it is designed completely for high performance to work just the way you will want it to. The 6 cell battery gives you a good deal of back up time for you to work continuously without any interruption. The Wi-Fi offers b/g/n connectivity allowing you to get connected to any Wi-Fi hot spots. You can see the movies, videos, pictures or even operate your laptop in a TV of LCD screen with its on board HDMI port that allows you to connect to TVs and other display media. With its back up manager software and the anytime widows upgrade, the good just gets better. For all its power packed features the laptop just weighs just over 5 pounds. With the limited warranty for one year on parts and international travel, now you can take your laptop everywhere trouble free!